We could hear her walking to her Art Room from far away. We also knew she’d have a straight back and arms clasped behind her back as she walked in her gorgeous heels. 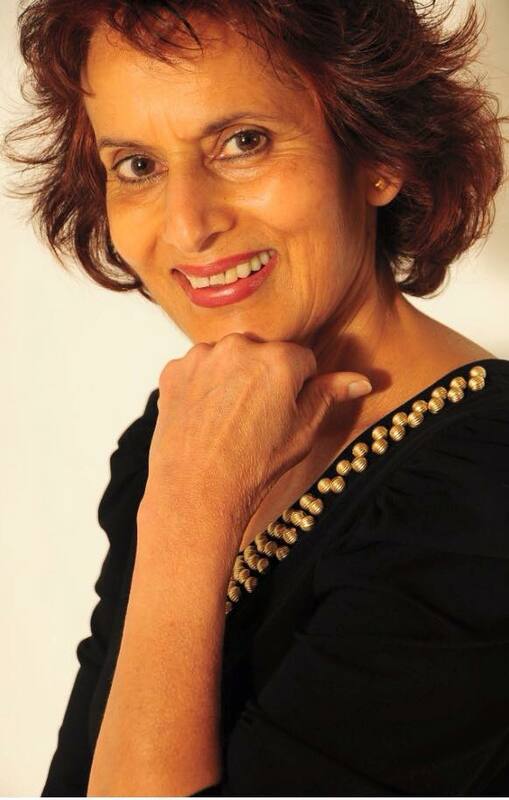 Those who knew her will nod in agreement and those who didn’t know her will know that that’s how Sheila Choda was. She was the epitome of class and elegance making every teenage hormonal, gawky girl she taught want to be just like her. We loved her fashion sense, we loved her petit frame that came with a gorgeous smile, we loved how she taught us creativity and how she always threatened to throw us out of her art room window amidst uncontrollable giggles and most of all, we loved what she imparted to us. In high school, I was considered some kind of a rebel, maybe because it was I laughed often, spoke up without fear, was very opinionated but never disrespectful. Unfortunately this earned me the wrath of the headmistress and some teachers who had sworn I was some kind of a bad influence and were hell-bent on making life miserable for me. Mrs. C saw all this and would often allow me to sit alone in her art room and vent my frustrations on paper with paint. She would let me sneak in my Walkman and listen to music while I painted and she would hear me vent and advise me on how to deal with my frustrations. She recognized something in me that I realized many years later that my one way of dealing with stress in life was to paint. After I left high school and went abroad, Mrs. C still kept in touch with me and never once forgot my birthday. Every year she would make sure to wish me and give me a lovely gift, imparting some sort of wisdom as she’d tell me to have a great year. I got married and things weren’t always the best. I lost touch with her for a few years and then one day bumped into her at a shopping mall and renewed ties that became stronger than ever. ‘Call me Sheila’ she would insist but I could never bring myself to call her that, so we settled on Mrs. C. She became a very strong part of my life and the one thing that always remained a constant with her was her gentle way of clearing my clouds and letting me absorb the light and happiness she always radiated. Despite moving to the Coast for a few years we still kept in touch and I went to meet her a couple of times too. When she came back, one day she told me that the dreaded disease cancer had struck her. She allowed me to weep and instead gave me strength. That was the core of her – always lighting other candles to let them shine bright. On 21/09/2013, she was the one person who wouldn’t stop calling until she heard my voice. She knew I was going to be at Westgate that fateful day and later when she came to be with me she had tears in her eyes and said she was so glad the kids and I were ok and she held me very tight. So many anecdotes, so many stories, so many memories that are now priceless are all that I have left of her. I have seen and read so many beautiful tributes to this wonderful lady all over Facebook and I feel so good to know that she touched thousands of lives. She lives in her students, and in the work they produce. Every time she came home, she would ask to see what new painting or drawing I had done and I’d insist she gives me marks for it. Oh Mrs. C, I’m going to feel your loss for the rest of my life. You were the one person who believed in me when no one else did, the one person who gave me wings to fly, the one person who supported me when no one did. Now starts the hardest part of life…. Life without you. I miss you and I love you, and I’m so glad that I always told you how much you mean to me and how much I love you. Rest in Peace, beautiful lady, until we meet again. What a beautiful tribute for a beautiful lady. She didn’t teach me art….but she definitely taught me to love myself and appreciate life. She just knew how to make one smile! What a gem of a person! Teaching is one of the most noble professions and teachers like Mrs Choda are few and far between. What a blessed life she must have had, in which she had the privilege of mentoring and motivating so many of her students. Her legacy will live on in your art and in the memories of so many lives that she touched. I didn’t know her personally but I feel your loss. Hugs. KK, what a Heart-Warming Tribute. She was an amazing Teacher… A Teacher who did not just teach us Art, but many other Lessons… Quite an inspiration to So Many! She was my art teacher in the mid 80,s .She was an inspiration. I also remember her usual saying “silly girl”.Her walking upto the art room and one could hear her footsteps. Used to love Art because of her.